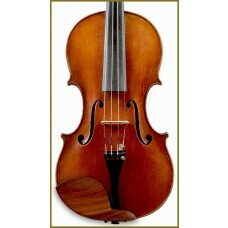 A beautiful old certified French violin made by Jean Baptiste Collin-Mezin fils. A beautiful and rather rare model made after Paolo Maggini. A very beautiful two -piece back. 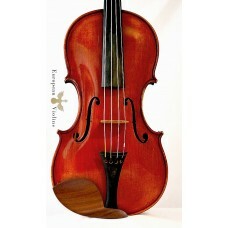 The rich varnish is attractively textured ; a very good workmanship as you may expect from this famous violin maker. 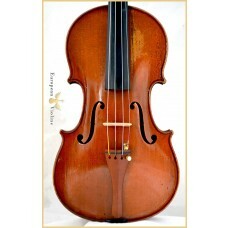 This Collin-Mezin violin responds very easily and has a well balanced tone in all the registers of the violin.